Training & Education: The Drugs & Alcohol team provides Traveller-specific drug & alcohol awareness training and education and practical support to Traveller organisations, drugs task forces and drug and alcohol services. 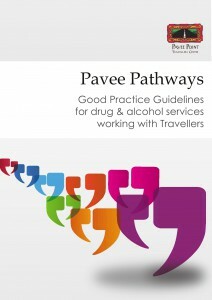 The two core pieces of training are ‘Pavee pathways: good practice guidelines for drug & alcohol services,’ and ‘Practical steps to addressing drug use in the Traveller community: A primary health care approach’. Contact a member of the Drug & Alcohol team to request the training menu and booking form. 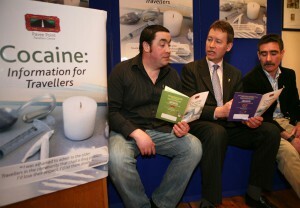 Traveller Drug Network: The Drug & Alcohol Programme hosts the Traveller Drug Network meetings on a quarterly basis. The meetings are an opportunity for drug & alcohol services and Traveller organisations to discuss and collectively address emerging issues within the Traveller community. 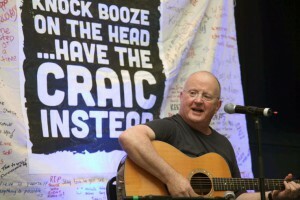 The aim is to promote information sharing and networking among Traveller organisations and addiction services nationally. Contact a member of the Drug & Alcohol team to be added to the mailing list. Policy & Lobbying: We promote and support Traveller inclusion & representation on external bodies, e.g. Drugs Task Forces. Additionally, we continue to work with the Health Research Board to promote data collection on Traveller drug use patterns by use of ethnic identifiers. Traveller Peer Support Work: Following an agreement with Coolmine Therapeutic Community, Travellers that have completed the residential programme are given the option of undertaking a Community Employment scheme with them and seconded to Pavee Point in order to become Traveller Peer Support Workers. One individual has successfully taken part in the initiative. The premise is that Travellers in recovery from addiction, who have attended drug rehabilitation services and are willing to share their experiences, are best able to support others to increase the numbers of Travellers accessing treatment. Research & Publications: To access research completed by the Drug & Alcohol programme and other research pertaining to Traveller substance misuse in the Republic of Ireland, please refer to the Resources section of this website. Click here to see a list of Drug and Alcohol Support Services.